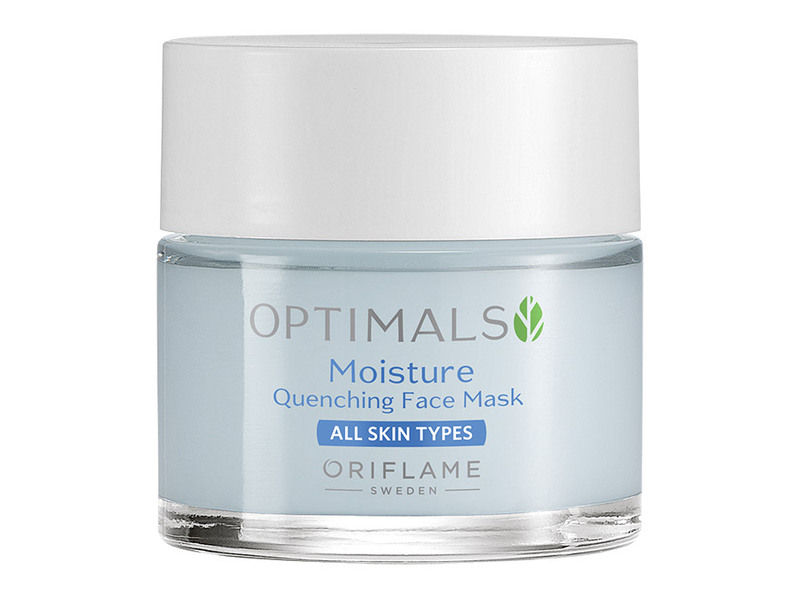 The Oriflame Optimals Moisturising Facial Mask is the perfect choice to complement your face care routine and ensure that the skin stays hydrated, healthy and radiant. 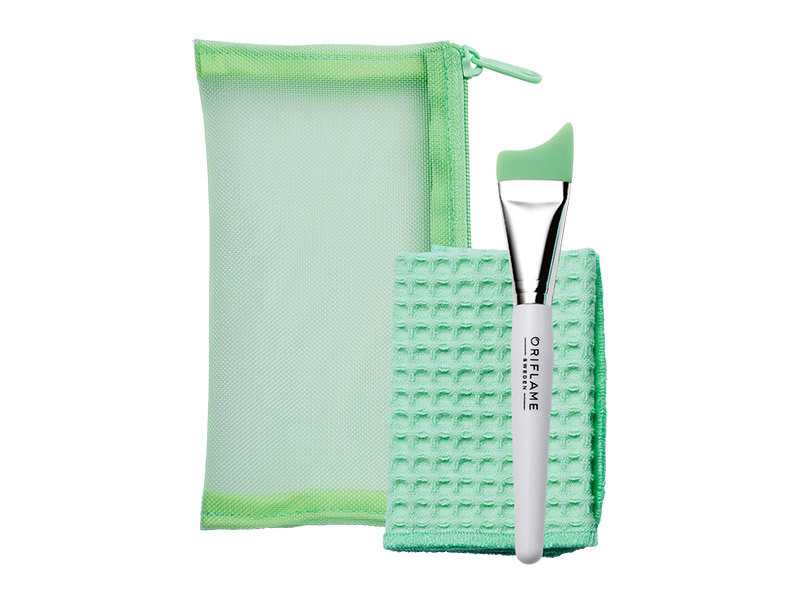 The Facial Mask Kit is ideal for applying the facial mask! A product suitable for all ages and especially for those who have normal / mixed skin . Contains a light, gel-like consistency that is extremely moisturising to your skin. 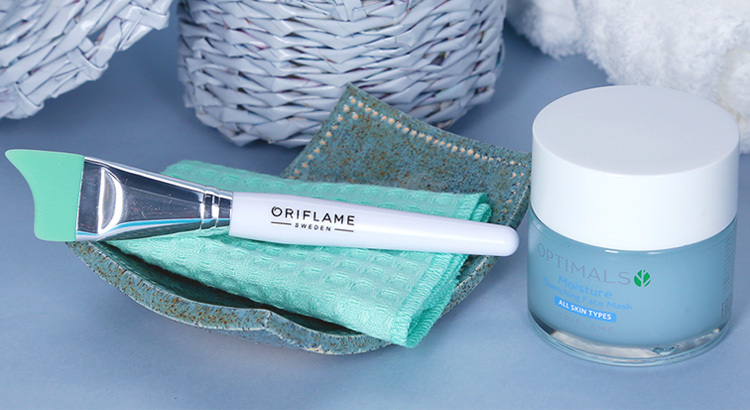 If you are a regular consumer of the Oriflame Optimals range , you will certainly appreciate this complement in your beauty routine. It will be especially useful now that summer is ending and your skin needs special care. For an easier application, Oriflame has also launched a limited edition kit for an ideal mask application. Blueberry – helps to moisturize and protect the skin from damage caused by free radicals. Amora – acts to promote the luminosity of the skin, to hydrate it and to retain hydration. Raspberry – helps revitalize, refresh, moisturize and promote skin brightness. Wet the towel with warm water and gently over the face until removal of the face mask. Rinse the towel and repeat if necessary. Apply a small amount of face mask to the face with the spatula, with short strokes. Repeat until all desired areas are covered. A moisturizing gel mask, formulated with a combination of natural Swedish ingredients, to strengthen the skin barrier, deeply moisturize the skin and relieve discomfort. It imparts an instant refreshing sensation and leaves the skin smooth, radiant and healthy looking. 50 ml. Ideal kit for easy application and removal of face masks. The spatula with a silicone tip allows to apply the masks evenly. Cotton towel for quick and easy removal of the mask. Polyester bag, perfect for storing items. Dimensions: spatula: 14 cm; towel: 18 x 18 cm; bag: 15 x 8 cm.